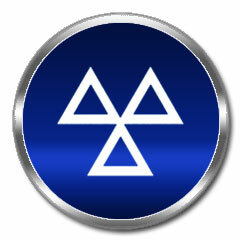 Previously if motorists wished to complain about an MOT which had just been carried out on their vehicle they would need to approach a garage employee and ask for the necessary form. Aside from the fact that many motorists might not be aware of the existence of the form (although a notice outlining the procedure is required to be displayed at the MOT garage), many motorists may have found the procedure embarrassing, may have felt intimidated or may not even be offered the form. The system has now changed and motorists who are unhappy with their MOT may now find the same form online, as a file which they can type directly into and email, or print out and complete by hand and send directly to DVSA. (We should at this point note that DVSA have unhelpfully not included their email address which is: csccomplaints@vosa.gsi.gov.uk, or building address which is: The Ellipse, Padley Road, Swansea SA1 8AN on the form itself). The form is the same as those which Testing Stations must make available for customers who wish to appeal their MOT Test result. “Complain about an MOT” consists of six pages. Page 1 explains what you have to do if you are complaining about a failure, or in some cases – see later – it might be a pass. Then pages 2 and 3 are for the details of the person complaining and the vehicle involved, and page 4 asks for details of the MOT certificate and the Testing Station being complained about. There’s a page to write out details of the complaint, and the final page is for the motorist to formally sign a ‘declaration’, and a box for ‘official use’ by the DVSA. Although the form is unchanged, looking at it now it could perhaps be improved. This is not repeated, however, under the next heading for those complaining about a ‘pass’ result (perhaps in a situation where the complainant has recently bought a vehicle with an MOT certificate which they feel was unwarranted, and they have gone to the Testing Station which carried out the Test to query it). That omission is odd; it is possible that the Tester has spotted something and issued an advisory rather than a failure (there was a fault, but not serious enough to fail) surely that’s something the motorist should discuss with the Tester before going to the DVSA – it might save a lot of time! It has always been a matter of contention with Testing Stations that motorists are promised that “DVSA will offer you an appointment within five days to recheck your vehicle – you won’t need to pay”. That five-day promise could easily mean that the Tester and the AE may not have enough time to be able to be present at the re-examination. This has always been a bone of contention with the MOT Trade. But this form is very old, and in the light of more recent EU ‘human rights’ laws, given that the Tester’s job, or the AE’s business might be at stake – DVSA may well, albeit inadvertently, now be in breach of those laws. As the DVSA moves with the times doing more and more ‘online’, then perhaps each time they do make such a change, they should also look what it is they are now moving to the modern platform – especially for old forms and so on which have not been reviewed for a long time and take the opportunity to make improvements.